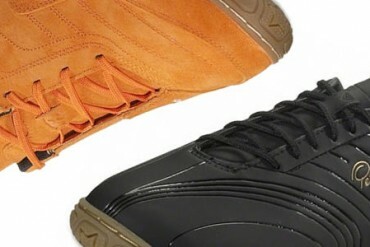 Pele sports bring the Trinity to the futsal court, and revamp the Radium range! 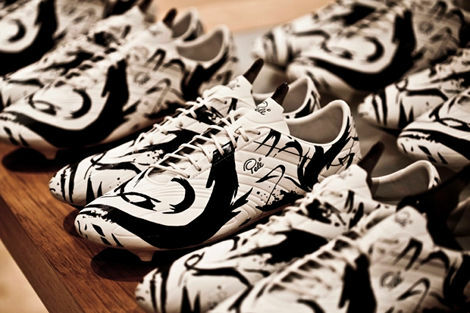 Pele Sports unleash this incredible collaboration with London-based graffiti artist SheOne. 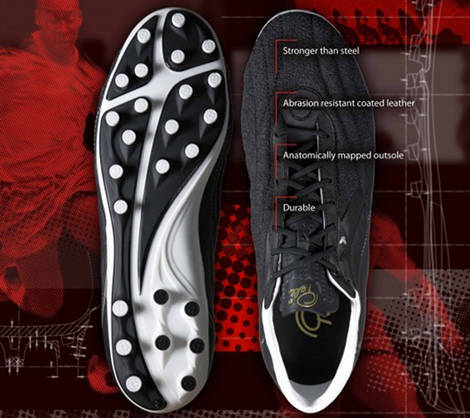 The K-Leather incarnation of the groundbreaking Pelé Sports Trinity comes in for testing! Pelé Sports unleash a new K-Leather version of their mind-blowing Trinity 3E – but what makes it so special? 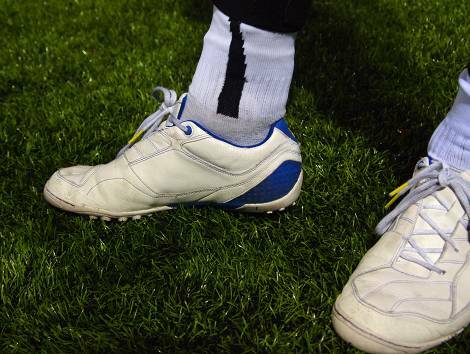 Pele Sports launch the two new football shoes for the small-sided beautiful game! 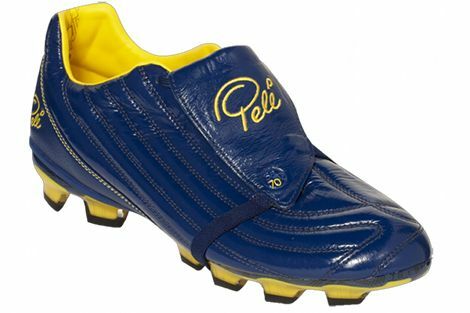 Pele Sports reveal their premier 1970 football boots in Estate Blue and Amazon Green! It’s review time again! This time, it’s our long-awaited hands-on with the Pele Sports Trinity – find out what we thought, here! We go hands on with the ultra-light new Pele Sports Trinity 3e – and compare it to some of the other boots on the market! 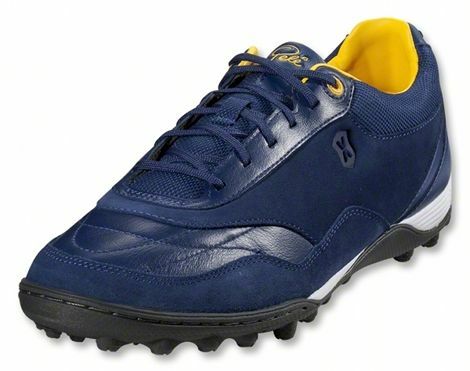 The Pel' Sports line-up gets just that little bit bigger with the new 50/50 turf shoes. But are they a worthy addition? Find out here! 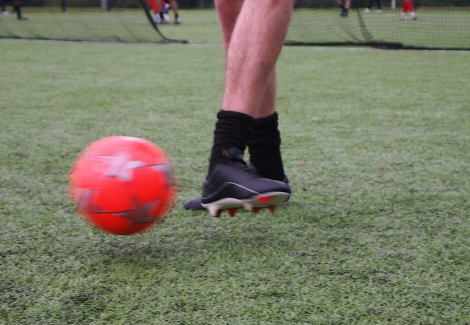 Lighter, faster and safer; find out how Pel' Sports claim the Trinity is so revolutionary in their latest viral video! A relative newcomer on the scene, Pele Sports have quickly impressed anyone who doubted them as a ‘wannabe’. With the backing of the legendary Brazilian Number 10, Pele Sports are rapidly becoming a true maverick of design, unpredictable as to what their next innovation will be – but simultaneously compelling and likeable. 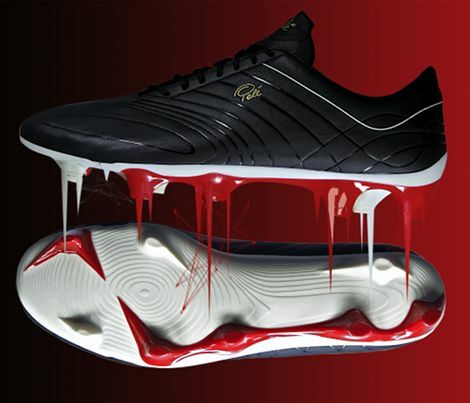 Putting the needs of the player first, Pele Sports have developed a number of unique leather technologies; from military-grade waterproofing to a ‘sticky’ coating that improves friction. 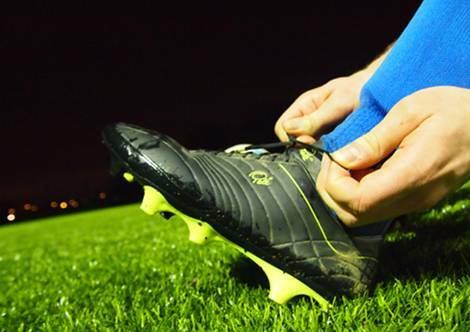 To see the full range of Pele Sports football boot, including the ground-breaking Trinity 3E – check out the links below.